Chemical Guys Vintage Speed Wipe is a gloss enhancing quick detail spray designed to deliver a static-free mirror shine in minutes. The all new Vintage Speed Wipe is 100% wax free, formulated with pure gloss enhancers to deliver a perfect finish. 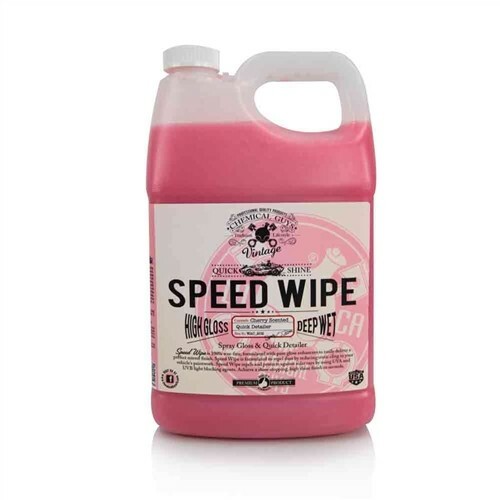 Vintage Speed Wipe is engineered to repel dust by reducing static cling by up to 75%. Chemical Guys Vintage Speed wipe cleans, shines, and protects using advanced UV solar blocking technology. Quickly and easily remove dirt, dust, fingerprints, and smudges in seconds. The innovative detailing formula works great on any car, truck, motorcycle, and custom vehicles. Formulated using all new gloss enhancing polymers, Speed Wipe creates an impressive show winning shine. Vintage Speed Wipe contains no wax or film. The streak-free formula works on clear coat and single stage paintwork for a bright shine on any car. 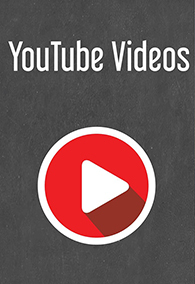 The versatile formula also works great on chrome, polished aluminum, stainless steel, and glass surfaces. Simply spray Vintage Speed Wipe on the surface, gently remove dirt and debris using a premium microfiber cloth, and buff to a streak-free shine. It’s that easy! Vintage Speed Wipe leaves your paint with a thin protective layer that bonds with waxes and sealants to give a slick, high gloss shine. Discover the amazing versatility of Chemical Guys Vintage Speed Wipe. Chemical Guys Vintage Speed Wipe offers a streak-free shine with stunning results on any color paintwork. Our wax-free synthetic formula ensures that Vintage Speed Wipe works great on any painted surface. The versatile detail spray performs excellent on metal, chrome, stainless steel and even glass. Chemical Guys Vintage Speed Wipe creates a high gloss shine on any surface with just a simple wipe of a microfiber towel. Quickly remove dirt, dust, fingerprints, smudges and road grime in seconds. The innovative formula even allows Vintage Speed Wipe to be used in direct sunlight. Step into the amazing world of pure synthetic car care with Chemical Guys Vintage Speed Wipe. Achieve a high gloss shine in minutes with Chemical Guys Vintage Speed Wipe. Simply spray Vintage Speed Wipe onto the surface and wipe with a clean microfiber towel for a superior, static-free, deep wet shine that lasts. Chemical Guys Vintage Speed Wipe can be used on any car, truck, motorcycle, boat, and classic automobile. Vintage speed wipe can also be used on painted exterior surfaces, chrome bumpers, windshields, trim, painted wheels, chrome grilles and even faux wood grain trim. Quickly remove dust and fingerprints before your Sunday car cruise. Perfect for cleaning motorcycles and custom choppers. Vintage Speed Wipe can be used on all clear coat and single stage paintwork colors and surfaces that require a deep wet shine. Whether you are cleaning your show car, detailing your weekend warrior or performing your weekly wash on your daily driver, Chemical Guys Vintage Speed Wipe will give produce a deep wet shine that is guaranteed to impress.